Do you need to integrate your PrestaShop webshop with a Product Information Management system? That depends on a couple of things. Is your product range quite small? Or do you offer thousands of different products and product variations? Is it possible to manage all your product information in PrestaShop or do you need a PIM system? You will find all the answers you’re looking for in this article. A Product Information Management (PIM) system helps you to control all product information in your webshop and other channels. You can collect, enrich, centralize, maintain and distribute this content automatically. Because the PIM system can collect data from a variety of sources, it is capable of making sure your product information is up to date and complete. This is positive for your Search Engine Optimization and creates reliable and distinctive product content for your customers. It also means that your product information is no longer scattered within your business, but that you can find it all within one place. Besides that, an integration of the PIM system with your webshop will automatically distribute product information to all your channels. In most cases managing product information is no problem at all in the admin of the webshop, because PrestaShop itself has a lot of features. Especially for B2C webshops with a small product range. But when do you need an external PIM system? How would you know if the possibilities within PrestaShop are sufficient for you? What signs are there to realize that it is better to invest in a PIM system? Are the following five signs recognizable for you? Then a PIM system might be the best solution for you. Because you have so many different products in your webshop, you may lose the overview of your product information. You receive information from all kinds of suppliers in different formats such as: CSV files, Excel sheets, PDF files, Zip files with pictures and maybe even CD’s. Information can be false, incomplete or not updated because it is saved in different locations and in different formats. You can change this with a PIM system. By integrating your PrestaShop with a PIM system you can manage the data from a central place and save it in a similar format. Do you have a lot of returns in your webshop? Or are there a lot of questions about your products? This is perhaps caused by a lack of product information provided for the customer. There is information missing, information is incomplete or not up to date. Maybe they want to see a product photo or maybe they need some extra explanation with an instruction video. Today customers need an extensive description to be satisfied. By offering correct and complete product information, it is possible to create the right expectations. In this way your customers know exactly what to expect when they order in your webshop and it won’t let them down. This creates less questions and returns and will benefit your revenue. A PIM system helps you to monitor what information you do have and what information is missing. Because of that you can prevent your product information from being incomplete. Do you sell your products not only via your webshop, but also through online marketplaces or comparison websites? Then you have to make sure your product information is up to date on every channel. That means that the products should have the same descriptions, same product attributes, the same prices and the same pictures. That doesn’t mean that the content should be exactly the same on every channel. It’s better for your Search Engine Optimization to have unique content on your website. But the descriptions should at least be as accurate. But how do you maintain the overview of all your content? You don’t want to cause any confusion because of divergent information. Clear product information makes you look professional and creates the right expectations. A PIM system helps you to keep the information updated on all channels. By integrating it with your PrestaShop webshop, you can automate this process. It also makes sure that the data you receive or collect from a data pool is automatically updated in your PIM system. Interesting and complete information about a product not only provides a reliable appearance and a distinctive advantage over your competitors, it can also help you to achieve a better position in the unpaid results of Google. Your product content can benefit your Search Engine Optimization (SEO): the better your position, the greater the chance that a potential customer chooses your webshop over the other search results. Use specific keywords in your texts and use ALT-tags for the images on your website. Is there a team within your company taking care of the product information? A freelancer that writes content that needs to be checked? A photographer that adds images, but is not allowed to edit texts? A translator that translates content from English to German, but can’t have access to the French content? With a PIM system you can assign certain roles to your staff and in that way people can only edit what they are allowed to edit. Besides that, it is possible to see who did what and correct them when necessary. Do think you need a PIM system for your PrestaShop webshop? Then you must compare different suppliers and decide what is the right platform for your webshop. This isn’t a very easy process, but we are happy to help you getting started. Of course the choice is always dependent on your webshop, your ambitions and your wishes. There are a lot of different suppliers for PIM systems. For example: SAP Hybris, IBM InfoSphere, Stibo, Informatica, Riversand, Oracle, Inriver, Salsify, Akeneo and Pimcore. Only two of them are open source: Akeneo and Pimcore. Since you’re using PrestaShop as your e-commerce platform, you probably prefer an open source system without any licensing costs. That is why we focus on Akeneo and Pimcore. Akeneo offers everything you may expect from a PIM system. It is capable of handling large amounts of product information and will solve the problems mentioned in this article. By connecting your PrestaShop and Akeneo, you will have a PIM system that lets you manage your product information from one central place automatically. The downside of Akeneo is that is has a paid enterprise version. For instance if you want to work with different roles and rights for your staff, you will have to pay quiet some license fees. Check here whether you would need a subscription for your specific needs. Do you want to do more with your PIM system? Not only manage your product information, but also photos, images, videos, documents, graphics and other visual content? 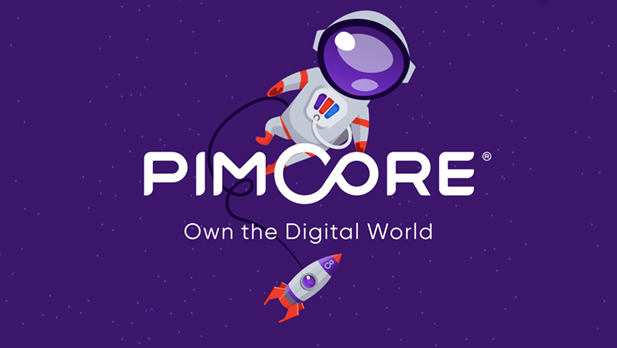 Pimcore offers not only Product Information Management (PIM), but also Digital Asset Management (DAM) and Master Data Management (MDM). Especially Digital Asset Management is something that is becoming more and more important nowadays and allows you to centralize all digital assets. You can even publish ‘print catalogues’ with it. The typical features like workflows, specific rights that are included in the paid versions of Akeneo, are free at Pimcore. Pimcore offers more features and doesn’t have a license structure. Marketing Specialist at H1 Webdevelopment, web agency with more than 10 years of experience in designing, developing and optimizing B2C and B2B webshops, online marketplaces and websites. They also build different integrations with ERP, WMS, PIM and accounting systems. H1 wants to help her clients to become online market leader by having great ambitions and a motivated team.